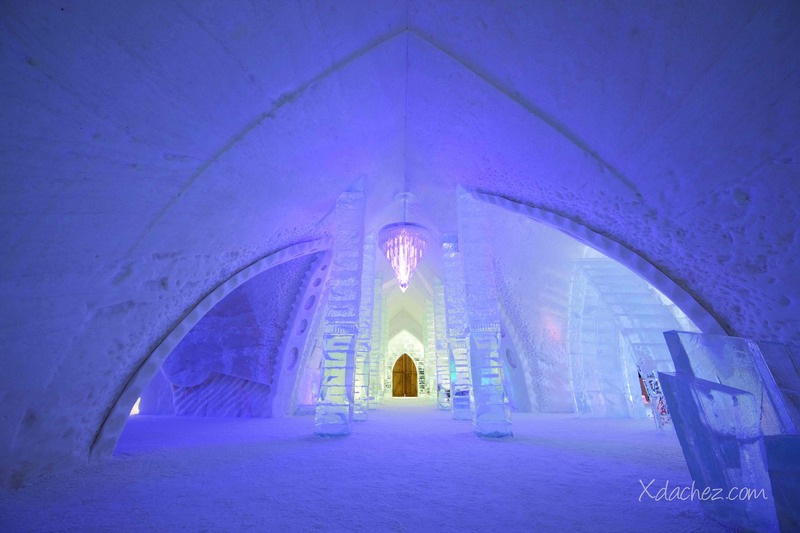 Staying at The Hôtel de Glace in Quebec, Canada, is one of the most unique and magical experiences. 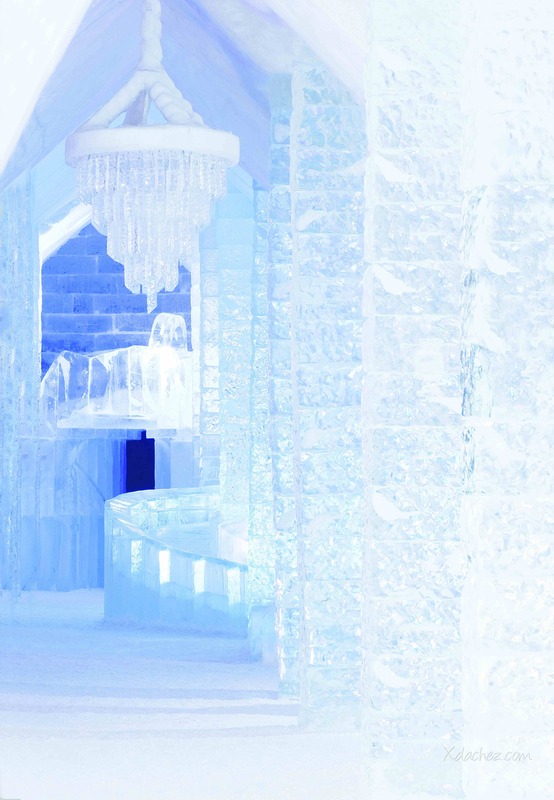 This incredible ice and snow structure is built from scratch every year, made from the purest materials of ice and snow. 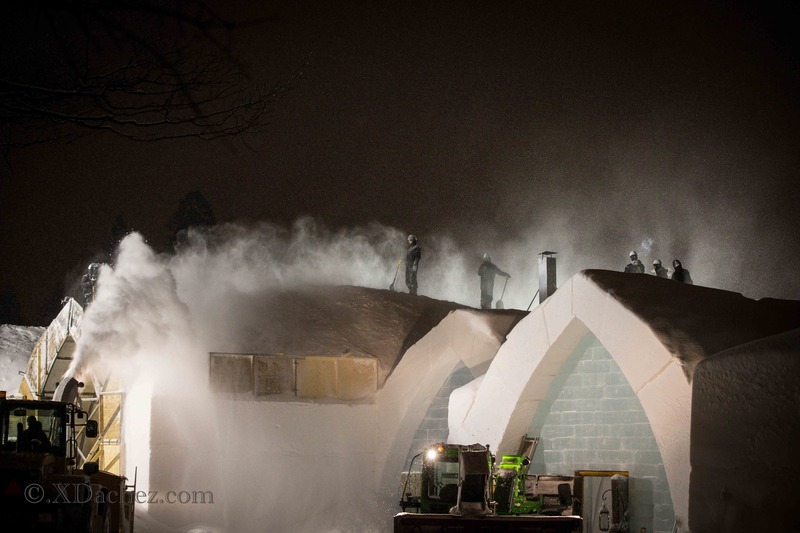 It takes 5 weeks, 500 tons of ice, and 15,000 tons of snow to craft the Ice Hotel with its ceilings as high as 18 feet, walls covered with original artwork and furniture carved from ice blocks. The hotel has a three-month lifespan from January to March each year. 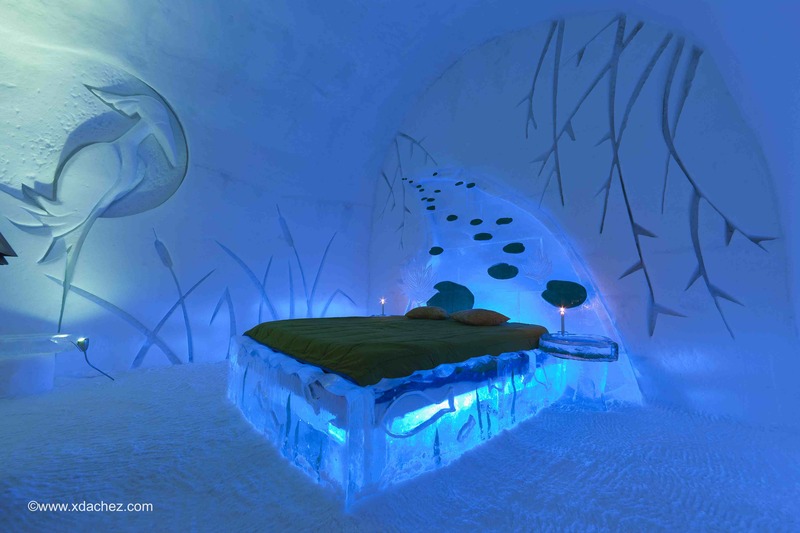 All the beds are made of ice, followed by a solid wood base and comfortable mattress. Guests sleep snugly inside a warm sleeping bag, an isolating bed sheet and a pillow. Only the bathrooms are heated and located in a separate insulated structure. Each suite is decorated with themes carved into snow and ice… and there are blocks of ice and chisels for guests to create their own ice drinking cup. How cool is that! Part of the stay at the hotel involves a class on how to stay warm at their regulated temperature of -15.